Legend has it that audiences for the Lumière brothers’ film The Arrival of a Train at La Ciotat Station in 1895 screamed and ran away at the sight of a train hurtling towards them from a cinema screen. That seems quaint now, as I guess films from cinema’s early silent years do to many people – a useful device for witnessing life over 100 years ago, but sadly little more. The ostensible raison d’être for Fantasia of Color in Early Cinema (by Giovanna Fossati, Tom Gunning, Jonathon Rosen and Joshua Yumibe, designed by Jonathon Rosen, Amsterdam University Press, €34.95, £28.50) is to bust a myth that cinematic colour arrived with Dorothy and her Technicolor red shoes in the late 1930s. It demonstrates, coffee-book style, that colour – and delirious colour applied frame by 35mm frame to each individual print, at that – was a huge part of cinema right from its birth. But this book does more. From its opening pages – including full bleed images of a blue-tinged man in the moon swallowing a rocket and breathing out luminous flames – it shows that silent shorts were just as inventive as the features and talkies that succeeded them. Indeed, how many films from today, frozen in this manner, would look as mysterious and hallucinatory? A moving train may not cut it any more, but colour still has the power to awe. The images collected here range from 1895 to the start of the First World War, when features, too time-consuming to hand-colour, and pre-tinted film prints arrived. If it feels like a strange fairy-tale picture book, the authors never let you forget that these are fragile films: scratches are faithfully reproduced, as are the edges of the film strips in some illustrations in the essays. 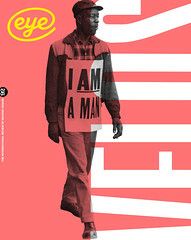 Exuberantly hued posters give a sense of how these films enticed audiences. Most illuminating is the context the authors give about the labour and skill it took to craft these visual delights – the many anonymous and low-paid women who toiled in workshops, each colouring three feet of film per hour on average (a print could be up to 1000 ft long). It is not only the range of colours but the variety of ways they were applied – hand-colouring, stencilling, tints and tones – that impresses and makes you peer closely at daring, lurid smudges of neon pink intruding on a ghost story, or a simple rose wash that adds a subtle glow to candles in a gothic dream. 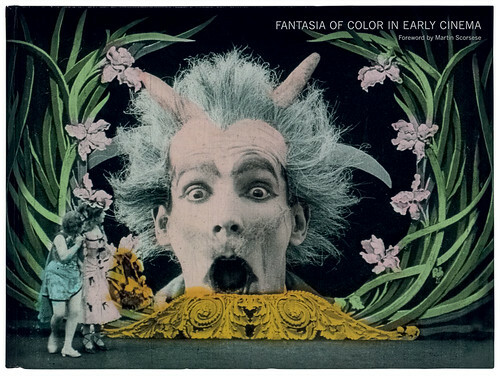 Fantasia of Color in Early Cinema by Giovanna Fossati, Tom Gunning, Jonathon Rosen and Joshua Yumibe. Cover features image from Les tulipes, 1907. Top: pages showing stills from Excursion dans la lune, 1908.